The Expansion of Methodism in the early 19th c.
The explosive growth of Methodism in the early 1800s always fascinates and amazes me. In America’s God: From Jonathan Edwards to Abraham Lincoln, Mark A. Noll argues that “the central religious reality for the period from the Revolution to the Civil War was the unprecedented expansion of evangelical Protestant Christianity. No other period of American history ever witnessed such a dramatic rise in religious adherence and corresponding religious influence on the broader national culture” (165-66). Noll further argues that this expansion was unprecedented and there was no reason why it should have been expected. 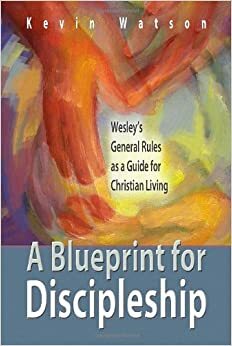 Within this remarkable growth, Noll finds that “the expansion of the Methodists requires special notice” (168). In 1813, a few years before Francis Asbury’s death, Methodist records indicate that there were 171,448 white and 42,850 African-American members in ‘full society’ served by 678 preachers. At this time there were also about 7,000 class meetings. Each class meeting was presided over by a class leader, which was a local layperson. To give a further idea of a) the seriousness with which Methodists held to their requirements for membership at this time; and b) the broad influence of Methodism, about one million people attended Methodist camp meetings each year. In other words, more than five times as many people went to these camp meetings each year than were full members of the Methodist Episcopal Church. Noll concludes: “From nowhere, in a period of very rapid general growth in church affiliation and over a remarkably short span, Methodism had become the most pervasive form of Christianity in the United States” (169). Of all these statistics, here is the one that I think is most interesting: there were 7,000 classes meeting throughout Methodism in 1813. That is an average of one class per 30.6 members in full connection. 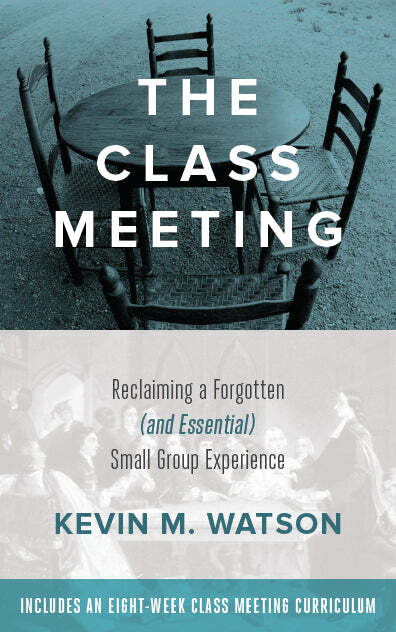 (This creates an interpretative dilemma, because John Wesley typically defined a class as a meeting of 7 to 12 people, not 30. However, this actually serves to confirm what I have read elsewhere – that classes in early 19th century American Methodism were actually quite a bit larger than they were in Britain during Wesley’s lifetime.) What may be more astonishing than the number of classes is that each class was served by a local layperson, who was responsible for the spiritual development of all of the people in their class, and there were ten times as many class leaders (about 7,000 class leaders) as there were preachers (678)! There are so many different directions you could go in with these numbers. One thing that really strikes me, though, is that it seems that one of the key reasons for the growth of early American Methodism in the first years of the nineteenth century was that everywhere there was a Methodist church, there were several lay people who were spiritual leaders. People who loved their brothers and sisters in Christ enough to walk with them, to ask them how things were going in their life with God in order to support and encourage them. I wonder if one of the most essential tasks for the United Methodist Church today is training and empowering laity for this kind of ministry. In many churches, there is likely one lay person for every thirty who has authority over an administrative task (such as chairing or serving on a committee). If we could survey every UM congregation throughout the connection, I wonder what the ratio would be of lay people who are asking other laity how things are in their life with God? I wonder what the ratio would be of lay people who are asking other laity if they are keeping the “General Rules” (do no harm, do good, and attend upon the ordinances of God – i.e. practice the means of grace). I wonder what the ratio would be of lay people who are asking other laity whether they are loving God with all their heart, soul, mind, and strength, and whether they are loving their neighbor as themselves. It has been my opinion for many years (for whatever it’s worth) that clericalism in all it’s forms undermines the dynamic of Methodism. This began as a lay movement with preachers who were itinerant evangelists. Our situation has greatly changed but I think it would be nice to ignite the original fire again. Someone teach me how to “empower and equip” lay leaders and I am there. In our current context, I think clergy should exercise their teaching function more and worry less about ecclesiastical, denominational power at the local level (i.e. who has authority to do what). We pragmatic American Methodists are allergic to doctrine (partly because academics took it away from normal people). Lay people are hungry for good, solid theological interaction about real-life matters. Speaking from a lay perspective… If you are looking for ratios, it appears that 10 percent of the people are interacting on the level that you describe in your blog. (here anyway…) A couple of Sunday School classes, a few Emmaus reunion groups, and a disciple class could be seeen as functioning as “accountability” groups. It seems like a larger number are mostly looking for more “programming” opportunities that involve family and children social interactions. “community”-building. I am thinking that the age and stage of human development seems to influence what people need and what they feel they should be accountable for. Young parents seemed consumed with caring for their nest. Understandably so. Now I am wondering how we can influence our youth in the direction of accountability groups.